Institute of Computer Science | Computer Architecture Lab. Differential Evolution (DE) as a flagship algorithm for evolutionary computation, is applicable to vast amount of challenges. Three example approaches using DE with different requirements will be presented, emphasizing the perspective of large scale optimization, time constraints, and big data assisted optimization model tailoring. In this perspective, the three examples are given from computer vision, energy, and robotics. For computer vision, spatial procedural tree growth and sway animation reconstruction from processing multiple view images with DE will be presented. In energy domain, a top performing system for hydrothermal scheduling using DE will be highlighted, which uses a tailored model that is assisted with big data approaches for surrogate optimization. In robotics and navigation, underwater glider path planning challenges will be presented, where evolutionary computation has been used for first time and significantly improves vessel capabilities by improving navigation robustness and optimizing trajectories. 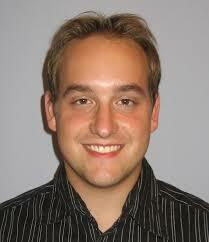 Aleš Zamuda is an Assistant Professor and Researcher at University of Maribor (UM), Slovenia. He received Ph.D. (2012), M.Sc. (2008), and B.Sc. (2006) degrees in computer science from UM. He is management committee (MC) member for Slovenia at European Cooperation in Science (COST), actions CA15140 (ImAppNIO – Improving Applicability of Nature-Inspired Optimisation by Joining Theory and Practice) and IC1406 (cHiPSet – High-Performance Modelling and Simulation for Big Data Applications). He is vice-chair at IEEE Slovenia Section, IEEE Senior Member, IEEE Young Professionals chair for IEEE Slovenia Section, IEEE CIS member, ACM SIGEVO member, ImAppNIO Benchmarks working group vice-chair, and editorial board member (associate editor) for Swarm and Evolutionary Computation (2017 IF=3.893). His areas of computer science applications include ecosystems, evolutionary algorithms, multicriterion optimization, artificial life, and computer animation; currently yielding h- index 16, 38 publications, and 742 citations on Scopus. He won IEEE Region 8 SPC 2007 award, IEEE CEC 2009 ECiDUE, 2016 Danubuius Young Scientist Award, several excellence awards from UM and is a 1% top reviewer at 2017 Publons Peer Review Awards, including reviews for 40 journals and 65 conferences. Dr. Bobby R. Bruce, Ph.D.
Genetic improvement is an emerging area of software engineering where code is automatically modified by search-based processes. In the last few years, researchers in this field have produced tools and frameworks shown to be human competitive and suitable for solving real-world software engineering problems. This talk shall give an introduction to genetic improvement, discuss the state-of-the-art, and explain how genetic improvement tools are built. Bobby will conclude the talk with a short tutorial on optimising a piece of software’s execution time using the ‘Genetic Improvement in No time’ framework (GIN — available at https://github.com/gintool/gin ). 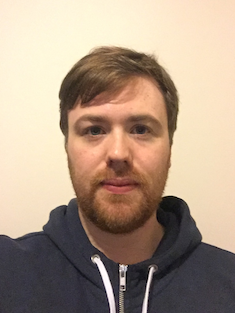 Bobby R. Bruce is a software engineering researcher specialising in the emerging area of genetic improvement -- the use of search, particularly evolutionary search, to improve software with respect to some user-defined objective. His PhD thesis, ‘The Blind Software Engineer’ focused on the the use of such techniques to improve software’s non-functional properties. Having completed his PhD in software engineering at UCL's Centre for Research on Evolutionary Search and Testing (CREST), Bobby is starting a position as a post-doctorial scholar at the University of California, Los Angeles, focusing on the dynamic optimisation of Java bytecode. He remains interested in genetic improvement, particularly in how it may be used to aid in the parallelisation of software; a task which human developers typically find difficult. In this talk the basic principles and applications of cellular automata (CA) will be introduced and some recent results regarding evolutionary design of complex CA will be presented. In particular, the talk will be devoted to multi-state uniform cellular automata. As the recent research has shown, the representation of transition functions of CA for evolutionary algorithms may significantly improve the results that can be obtained for various case studies. Specifically, the generic square calculation problem in 1D CA and pattern development problem in 2D CA will be considered. It will be demonstrated that various square calculations in cellular automata can be discovered, some of which substantially overcome the known solution. Moreover, several results of the pattern development will be shown which have not been achieved before using conventional design methods. Some of the results indicate that an exact CA behaviour can be automatically designed by evolution even for cellular automata working with more than 10 cell states. 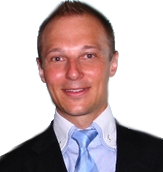 Dr. Michal Bidlo is an assistant professor at Brno University of Technology (BUT), Faculty of Information technology (FIT), Czech Republic. Since the beginning of his career dr. Bidlo has participated in the research of Evolvable Hardware group at BUT FIT with the main research interests including natural computation, cellular automata, evolutionary deisgn, evolvable hardware and bio-inspired systems. He is the author or co-author of over 20 conference/journal papers in these areas. He has published at renowned international conferences and in international journals (e.g. IEEE Transactions on Evolutionary Computation or Soft Computing) and has served as an active PC member of several international conferences (e.g. DATE, GECCO, CEC, ICES). In addition to his research, dr. Bidlo teaches several courses at BUT FIT, including Applied Evolutionary Algorithms, Bio-Inspired Computers or Design of Computer Systems. For his research work he was awarded by Silver medal at the international competition HUMIES - Awards for Human-Competitive Results Produced by Genetic and Evolutionary Computation in 2016 for his method for the evolutionary design of complex cellular automata, and received the Best Paper Award at 2016 International Joint Conference on Computational Intelligence - Evolutionary Computation Theory and Applications. assoc. Prof. Roman Senkerik, Ph.D.
Roman Senkerik was born in the Czech Republic, and went to the Tomas Bata University in Zlin, Faculty of applied informatics, where he studied Technical Cybernetics and obtained his MSc degree in 2004, Ph.D. degree in 2008 (Technical Cybernetics) and Assoc. prof. degree in 2013 (VSB – Technical University of Ostrava – degree in Informatics). He is now a researcher and lecturer at the same university. He was IPC member or session chair of many important international conferences IEEE CEC, IEEE SSCI, ECMS, MENDEL, HAIS etc. He is Recognized Reviewer for many Elsevier journals as well as many other leading journals in computer science/computational intelligence. He was a part of the organizing teams for Special Sessions/symposiums at IEEE CEC and IEEE SSCI events. He was a guest editor of several Special Issues in journals, editor of Springer proceedings for several conferences.